A reddit user has found several sound files that point to cut China Rising Levolution events. A reddit user by the name of "Dirtyfatfingers" has been digging through Battlefield 4's sound files, and unearthed a wealth of cut content from the recently released China Rising DLC pack. Namely, the expansion was supposed to have Levolution events, but were cut at some point in development. Specifically, Dirtyfatfingers says that Altai Range was supposed to have a snowstorm that would intermittently hit the map, Silkroad was to have a sandstorm, and Guilin Peaks was to have heavy fog roll in. He also discovered that players were supposed to be able to freely switch between commander and infantry without having to leave and rejoin the server. 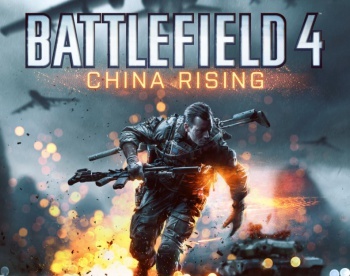 Battlefield 4 fans were somewhat perplexed the first time they played China Rising's maps, to find that large-scale Levolution events, which were present in some shape or form in every vanilla Battlefield 4 map, were no-where to be found. This seemed somewhat strange, considering the feature, which allowed players to substantially alter the way certain maps play with events such as a skyscraper collapsing or a dam bursting, was one of the game's most-hyped features. EA previously stated that it has halted work on all Battlefield 4 DLC until the game's more glaring bugs and glitches have been stomped out. However, they made this announcement the day after China Rising was released, which means the decision to cut Levolution events from the DLC was made earlier in development.